Today saw the official launch of Blood Bike East … our intrepid chairman, Marc, went along to meet the team of volunteers who are about to begin giving up their spare nights to ferry blood and vital documents between Eastern region hospitals out-of-hours. The service costs nothing to the HSE, and expects to save a significant portion of the €28 million annual taxi bill the HSE incurs. 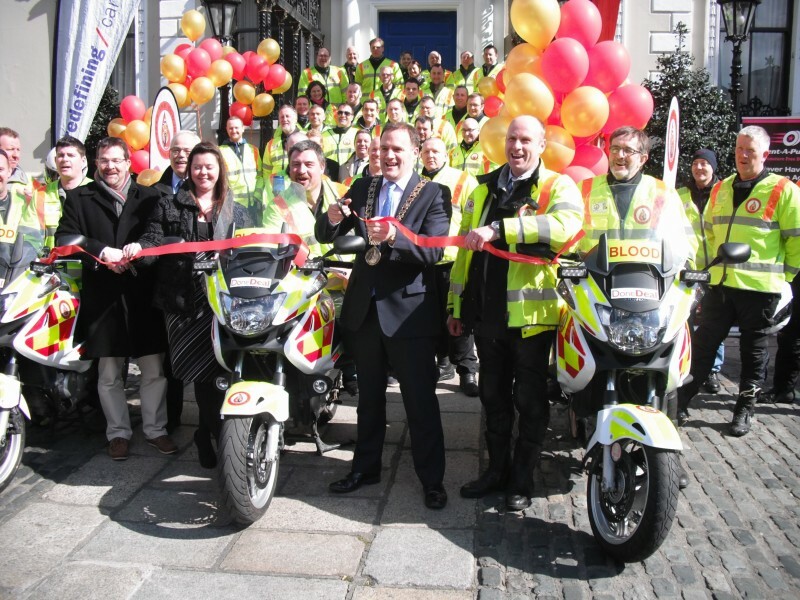 We join in wishing all the volunteers with Blood Bike East (and indeed Blood Bike West) all the best in their efforts – and many safe miles travelling the highways and byways of the country doing us all proud!